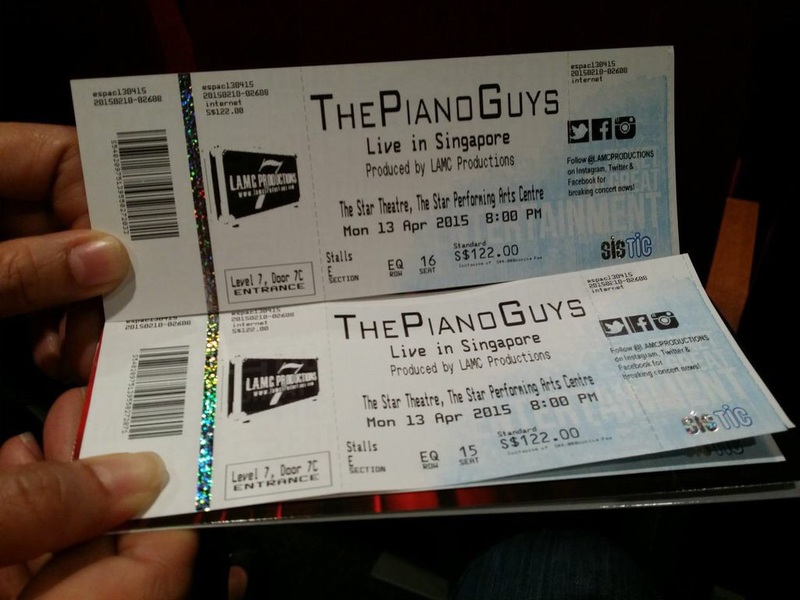 YouTube sensations, The Piano Guys, played a glorious set from their repertoire of entertaining classical-contemporary mashups for their fans in Singapore over two evenings (13-14 April) at the Star Performing Arts Centre. Mainly headlined by pianist, Jon Schmidt and cellist, Steven Sharp Nelson, they thrilled the audience with amazing skill, clever arrangements and a constant string of friendly, and at times self-deprecating banter. The stage was simply set with the trusty Yamaha piano occupying most of centre stage and three of Nelson’s cellos from his personal collection slightly off to the right. 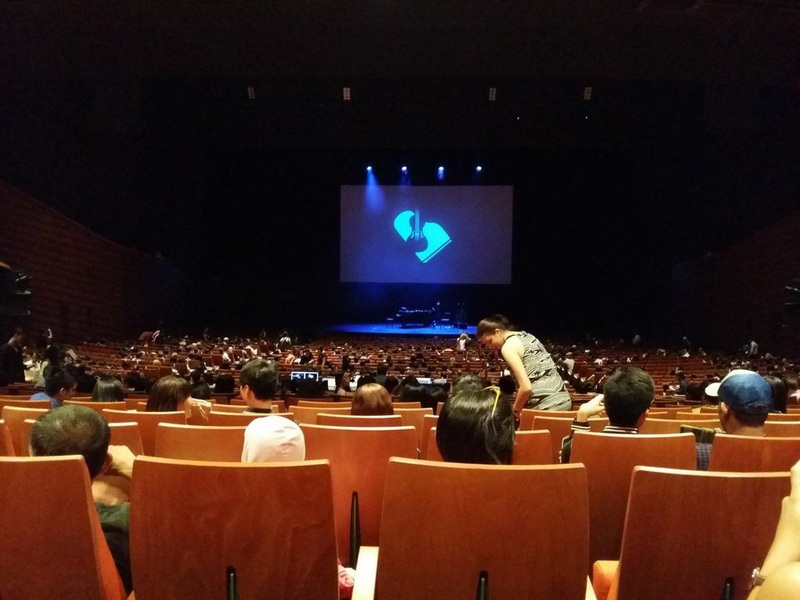 Above was a huge projection screen on which played their YouTube videos as visual accompaniment to their ‘live’ performance, as well as close-up shots of the performers themselves from multiple camera angles, which the audience further away from the stage were grateful for. Despite having streamed their videos in HD several times over, it truly made a huge difference to me listening to the music being played in person. The tonal quality can never be replicated via a recording. Notes so sharp and clear, every key, every string, so expressively played, the effect was just magic to hear. While classical buffs may turn their noses up at contemporary pop music, The Piano Guys have this knack of drawing out pop’s melodic beauty and adding a further touch of class by blending it so seamlessly with familiar classical tunes, as if they were meant to be together. Among mashup favourites such as “Titanium/Pavane”; “Code Name Vivaldi”; “Beethoven’s 5 Secrets” and “Begin Again”, they also played straight pop hits to a classical arrangement (“A Thousand Years” and “What Makes You Beautiful”, which made for a beautiful closing number), AND classical pieces in pop-style (“Rockelbel’s Canon” and “The Cello Song”), just to name a few. No regrets on these tickets. Transitioning between numbers, the Guys told stories of their friendship and partnership; of the origin of the group which didn’t start out with the intention to be famous, but things happened when they followed a crazy idea for fun and fellowship; of their families and how they drew inspiration from their children. And they always kept the presentation fun, accessible and relatable to the audience. I guess they realized how inspirational their performance might have been to the young kids in the audience who, in turn, might want to pursue playing classical instruments. Their message: though they make it all look so easy, it takes a lot of hard work and dedicated practice to get that good… so don’t give up. Just when we thought we were only going to listen to The Piano Duo, their fellow musicians, Al van der Beek and Paul Anderson also came out for a couple of numbers — and then we got to see the whole team working together, making the sole Yamaha piano sound like an entire orchestra made of strings and percussion. Amazing stuff. The Guys even debuted their “world premiere” of an improvised mashup between Bob Marley’s “Don’t worry, Be Happy” and Andrew Lloyd Webber’s “Phantom of the Opera”, which devolved into a thoroughly enjoyable musical mess, but it spoke a lot about their creative process and what it takes to get from a mad, improbable idea to a polished, attention-holding hit performance. All in all, it was a pleasure and a privilege to listen to a group of musicians so visionary, so entertaining and yet so down-to-earth. It is a testament to their ability to mesmerize their audience into appreciating the show right then and there, without too many people raising a cell phone or camera to record a moment for posterity — or at least a social media post.